Rapid Air Weapons (RAW) is located in Minor Hill, Tennessee and makes some of the highest quality air rifles in the world. 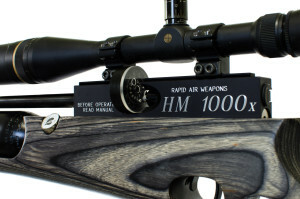 RAW is well known for their benchrest and field target model air rifles. Their rifles are among the worlds most accurate target airguns and continue to place at the top of Regional, National and World events. Now RAW has developed an awesome addition to their lineup. It is the HM1000x .357! This is great news for hunters, plinkers and those of us who want raw power from an air rifle. Features of the .357 include: a long aluminum moderator, 7 shot magazine, 500cc bottle filled to 230bar and is fitted with a regulated “V” quick fill and gauge set up. This awesome rifle comes with the power set to approximately 100ft lbs of muzzle energy with the 80gr JSB pellets and gets a minimum of 27 shots by regulated pressure. This rifle will be a great addition to your hunting line up as it weighs in at just 9lb 12oz with a standard laminate stock and 8lb 12oz with the walnut, the rifle is 46″ 1/4 long. A 480 cc carbon fiber bottle is also available and takes an additional pound off of the weight of the rifle. According to RAW, it should be noted that the .357 action, magazine and barrel will not interchange with any other RAW or Theoben rifles, as all these components have been machined wider and thicker to allow for the larger ammunition. This fine American made rifle includes coated aluminum parts for protection with the internal components being hand finished. The hammer and trigger parts are hardened and polished for extra smoothness in reloading, as well as making for a cleaner firing cycle. The side-lever linkage and bolt have been hardened and are ready for a lifetime of work. 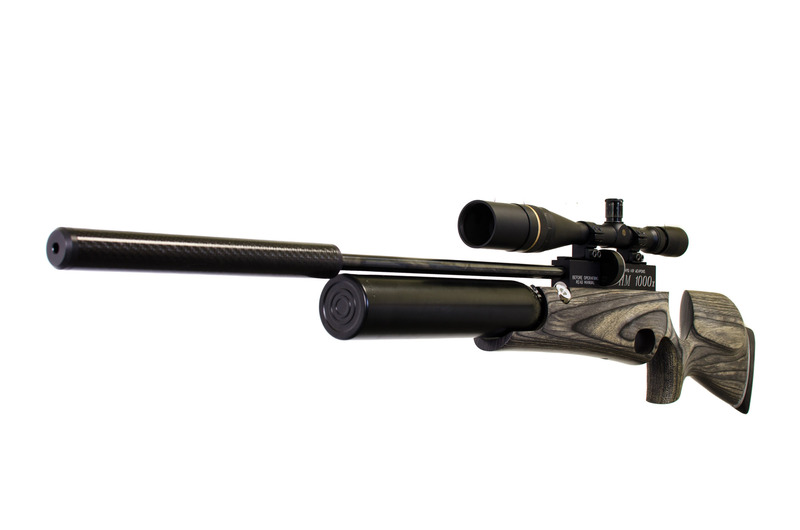 This is one tough rifle that is ready to take on your next hunting or plinking adventure! If you’re interested in this fine American made brute of an air rifle, check out our friends at Rapid Air Weapons http://www.RapidAirWeapons.com for more information.